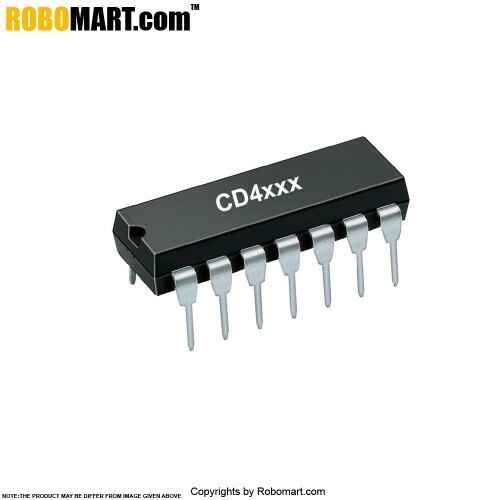 The CD4030B is a DIP IC having consists of four independent Exclusive-OR gates. The CD4030B provides the system designer with a means for direct implementation of the Exclusive-OR function. The CD4030B types are supplied in 14-lead hermetic dual-in-line ceramic packages (F3A suffix), 14-lead dual-in-line plastic packages (E suffix), 14-lead small-outline packages (M, MT, M96, and NSR suffixes), and 14-lead thin shrink small-outline packages (PW and PWR suffixes). Medium-speed operation—tPHL, tPLH = 65 ns (typ.) at VDD = 10 V, CL = 50 pF. Even and odd-parity generators and checkers. Also Searched as : cd4030 schematic, cd4030 datasheet pdf, cd4030 datasheet, fairchild semiconductor cd4030, intersil cd4030, cd4030 cmos quad exclusive, 4070 quad xor gate datasheet, cd4030be datasheet.